Early 1976, My wife, 2 young children and I, moved from So. Calif., where I was manager of Manufacturing Engineering for Teledyne controls, to be the first “Lake Almanor Country Club Manager“ here on the peninsula. 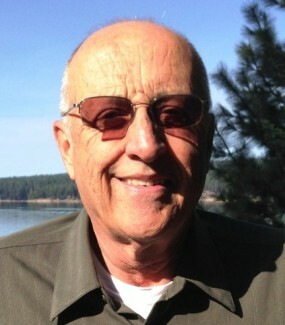 Our family has grown up here, and after graduating college out of the area, getting married, our two children who, like us, love Lake Almanor, returned with their spouses and are involved in education and ministry in our community and have blessed us with 5 wonderful grand children. In 1978 I decided to go into building custom homes and after a couple of years and obtaining my general contractors license, “Foos Construction” was born. For the next 20 years we designed, drafted and constructed over 80 custom homes around the lake before retiring the business in 1997. Earning my real estate license, I joined my wife at Coldwell Banker in Chester where I had the privilege of assisting many clients with their various real estate needs, large and small, over the next 10 years. After a hiatus of several years I have now returned to Coldwell Banker to continue that service. My 20 years experience in home design, contracting, familiarity with building codes and construction practices, plus 10 years of real estate experience gives me a unique combination of expertise, which has, and will continue, to allow me to provide unparalleled real estate representation for my clients in the years to come. I am proud to say that my “SPECIALTY” is providing high quality, honest and thorough representation for my clients with integrity, trustworthiness and tenacity. My reputation as a building Contractor and Realtor speaks for itself, and I encourage you to ask around the community for opinions.